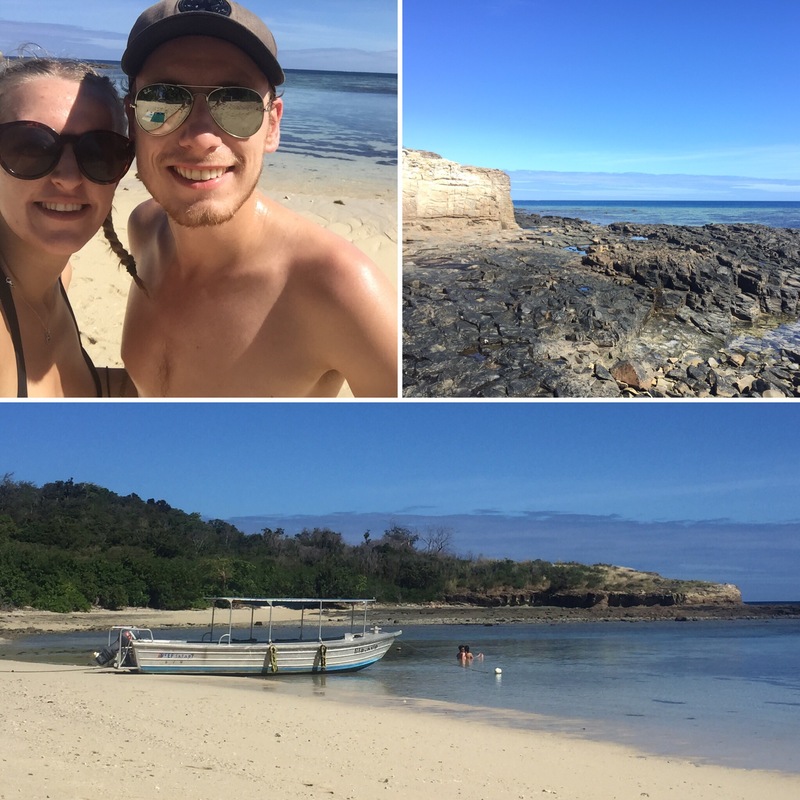 On the 7th June 2017, we said goodbye to Beachcomber Island and got the boat for a two hour journey to our next resort, Barefoot Manta. 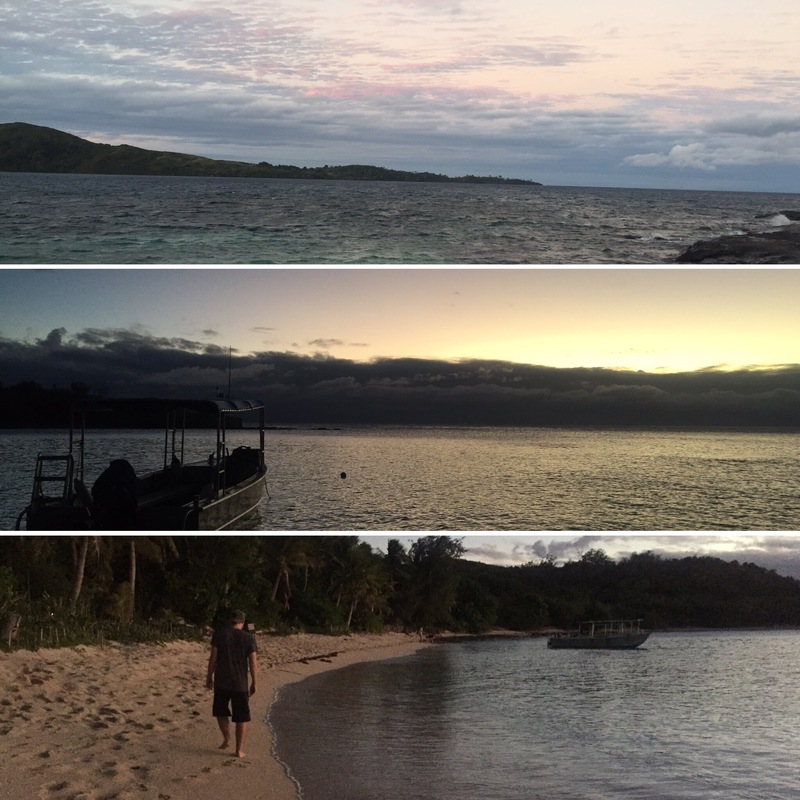 The rest of the resorts we would be staying at were in the Yasawa Region of islands. We had to pass through ‘the gateway to the Yasawa’ which was a channel through two islands (both much bigger than Beachcomber). As we went through there was a man standing in a grass skirt on a rock who were we told was a Fijian Warrior which was giving us safe passage through the gateway. On the way to our island we also saw some dolphins in the water, I hadn’t really expected to see any here so it was a nice surprise. 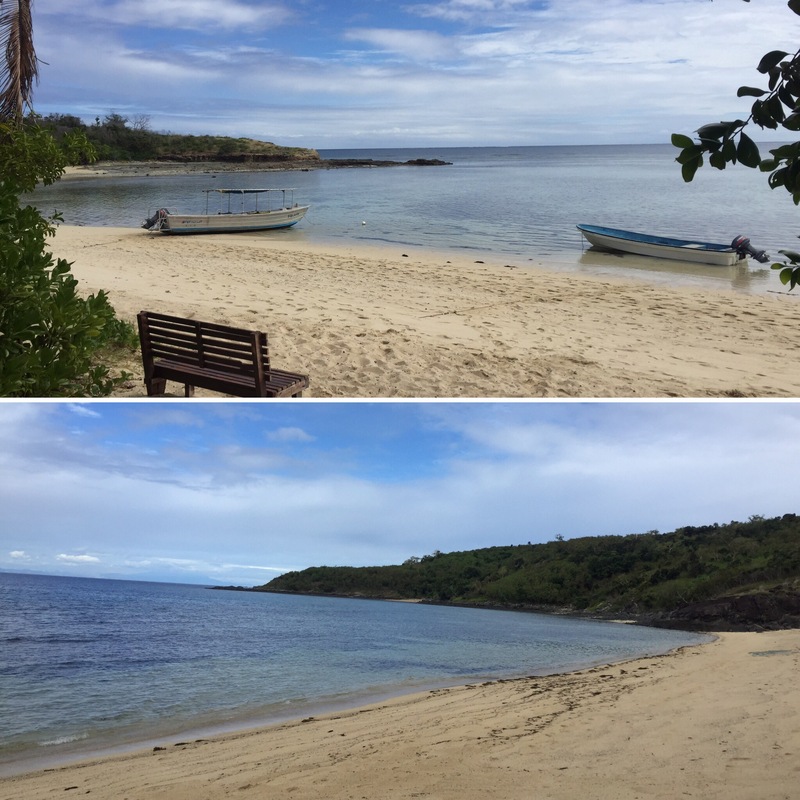 At 11:30am we arrived at Drawaqa Island and were taken to our resort – Barefoot Manta. We were greeted with a song and a drink like in the last resort. Our dorm this time was only four beds in a little hut that overlooked the beach, it was really cute! 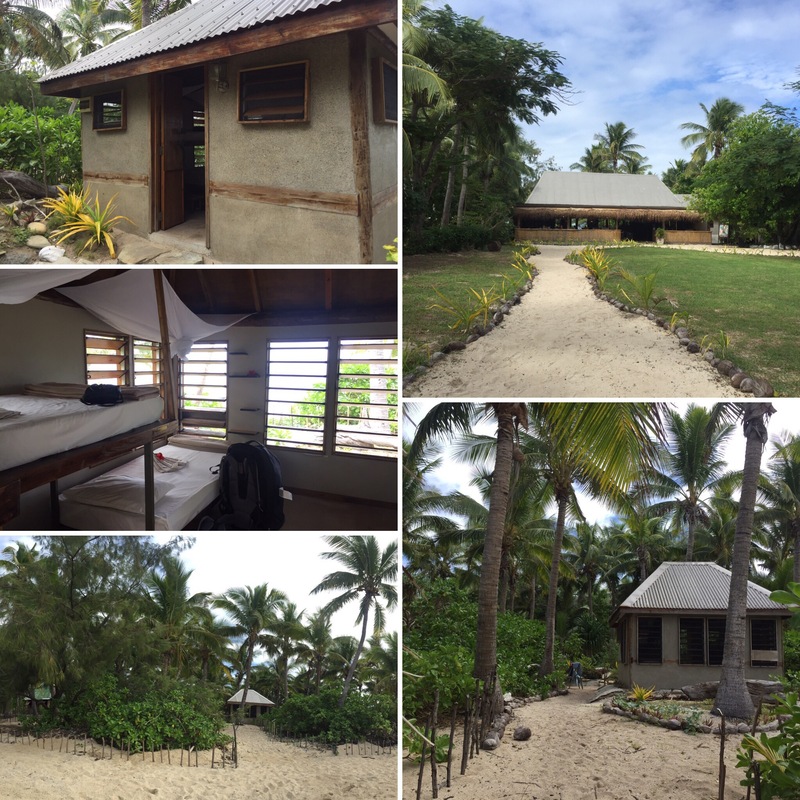 This resort is all amongst palm trees and spreads over a small section of a bigger island – the resort are the only inhabitants though. 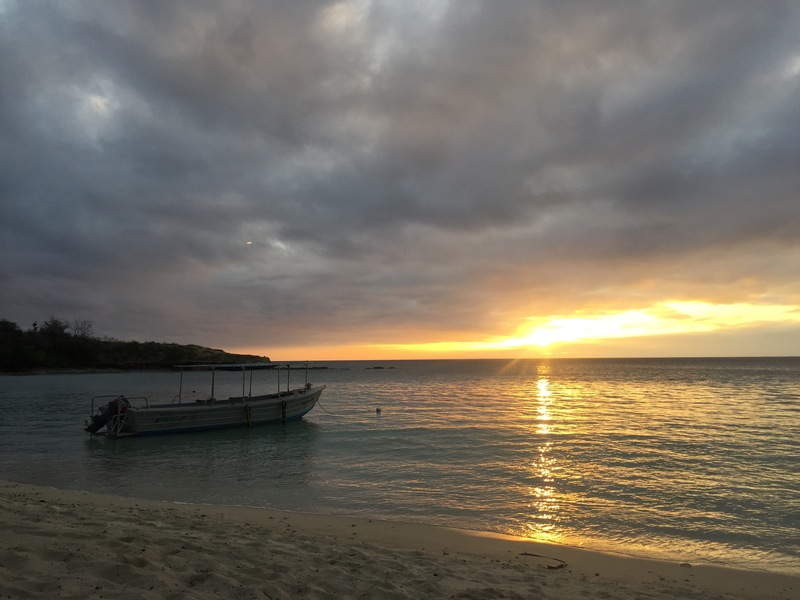 There are three beaches for us to choose from; the sunrise beach which our dorm looks out onto, the sunset beach which is on the opposite side of the island and manta beach which runs along the side and overlooks the manta ray channel. 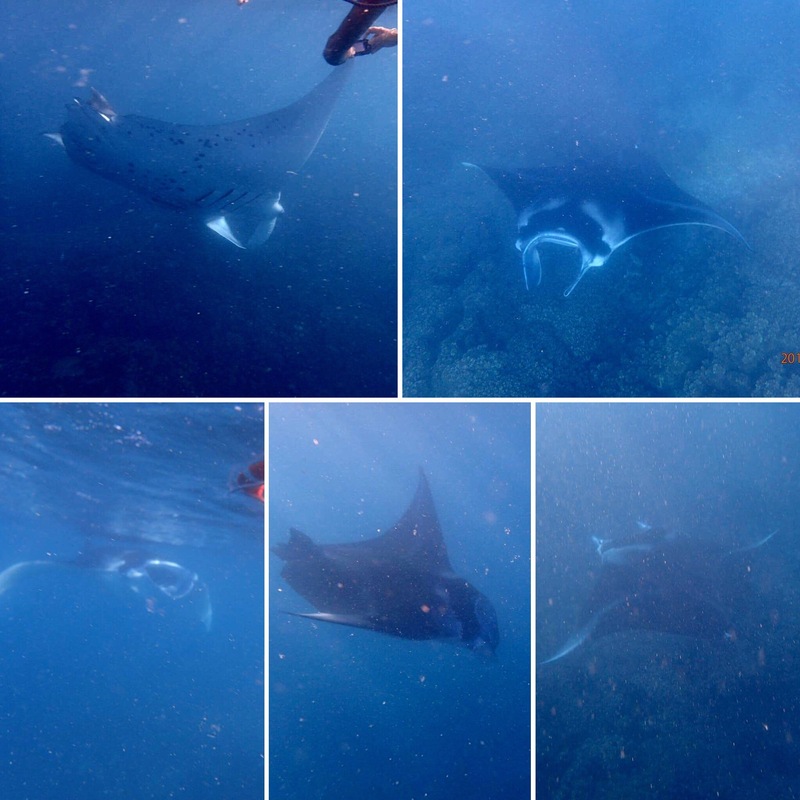 This was the reason we had picked this resort, to see manta rays. We had done our research and had been told that Barefoot Manta was the best resort to see them and we’re feeling hopeful. On the boat ride over to the island we were told that manta rays hadn’t been seen there for over a week. The wind needed to be in the right direction to blow the plankton to the channel which would then bring the manta rays and it hadn’t been windy for a while! We kept our fingers crossed and hoped we had given ourselves enough days for the wind to change in our favour. After lunch (which was very nice) we sunbathed – it was hot and humid but not super sunny – and relaxed. I went to a presentation on manta rays incase we got the opportunity to go out and swim with them. The talk was really interesting; the resort is working to protect the manta rays and they are hoping to start studying them on the island which would be cool – relatively little is known about these creatures. We were taught how to identify the males and females, how best to swim near them (3m away because they’re so big) and why they come to this area. The island and an island opposite it creates a channel that is great for feeding the manta rays. The plankton is funnelled down the channel and the manta rays just swim against the current and swallow it all. They also go to the channel to have their gills cleaned by little fish and to mate. When mating, a female will be followed by a bunch of males and they will copy everything she does for a few days until there is only one last persistent male following her and he can mate with her. We were told about how some manta ray males will be sneaky and jump on before the winning male can ‘claim his prize’ – the people on the island joke that these are the ugly manta’s that can’t get their own girl! Later on in the day we went snorkelling. 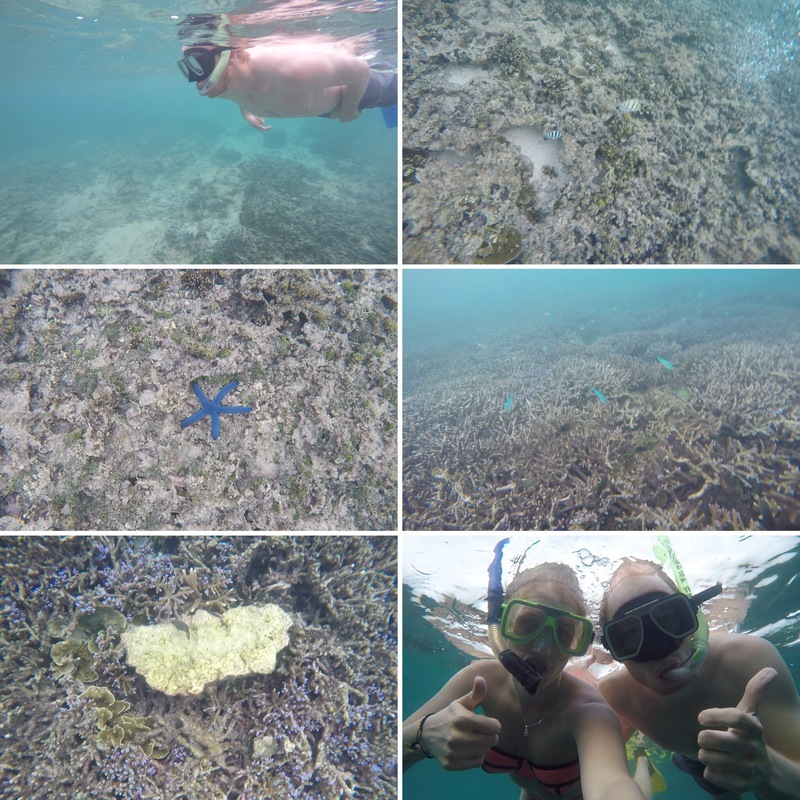 We didn’t get to go out for long but we still saw some cool fish and really bright blue star fish which was really cool. 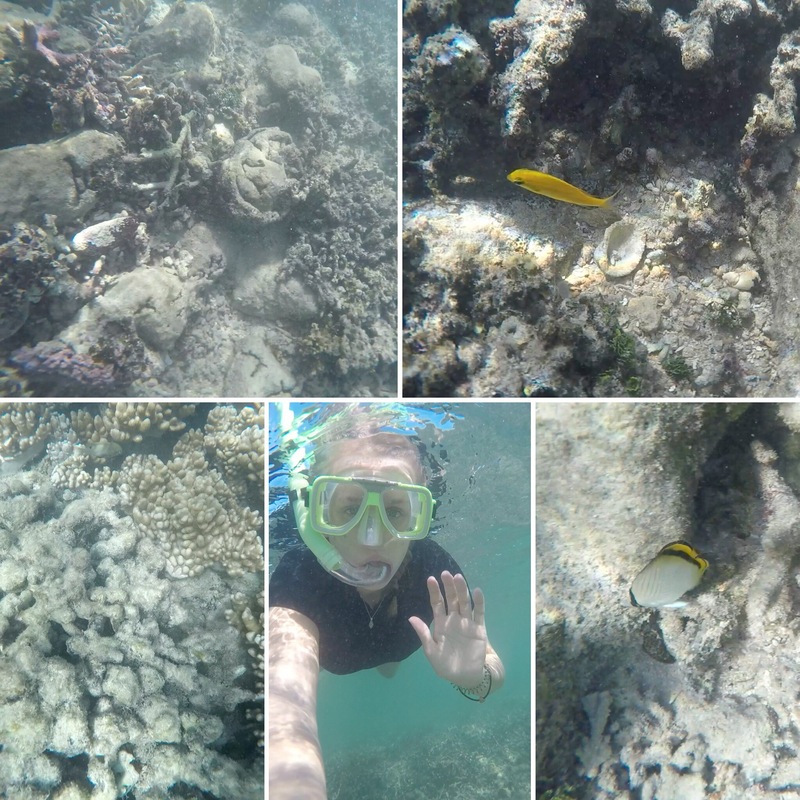 It made us look forward to getting a longer snorkel in over the next couple of days. 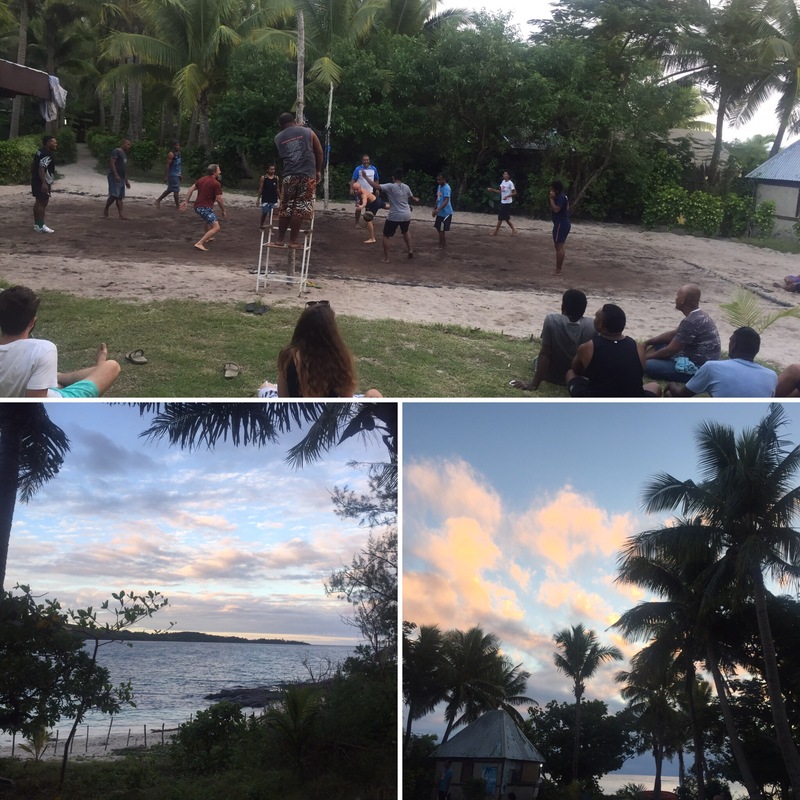 After getting showered for the evening we went to watch the locals play some volleyball. It was really funny watching them because they took it so seriously and all made fun of each other when they didn’t do a good shot. The sun was setting so me and Niall took a walk along the beach to watch the sunset. The wind had picked up and there was a big, bright moon that night so it was a lovely walk. There are enough people in the resort so that it isn’t completely empty but the place isn’t overrun so you can find your own small piece of paradise. 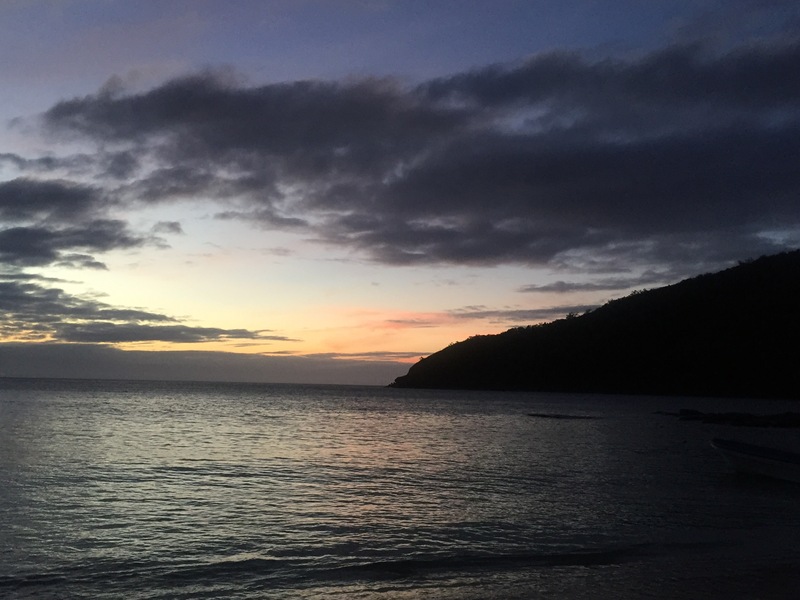 The sound of the waves sent us to sleep and the sound of the staff shouting ‘MANTA RAY!’ woke us up. This was how the resort let everyone know that they had spotted manta rays and we could go out to see them. We had been lucky, the wind had picked up and brought food to the channel meaning manta rays had arrived for the first time in a week. We scrambled to get ready and get on the boat with our fins and snorkel mask at the ready. 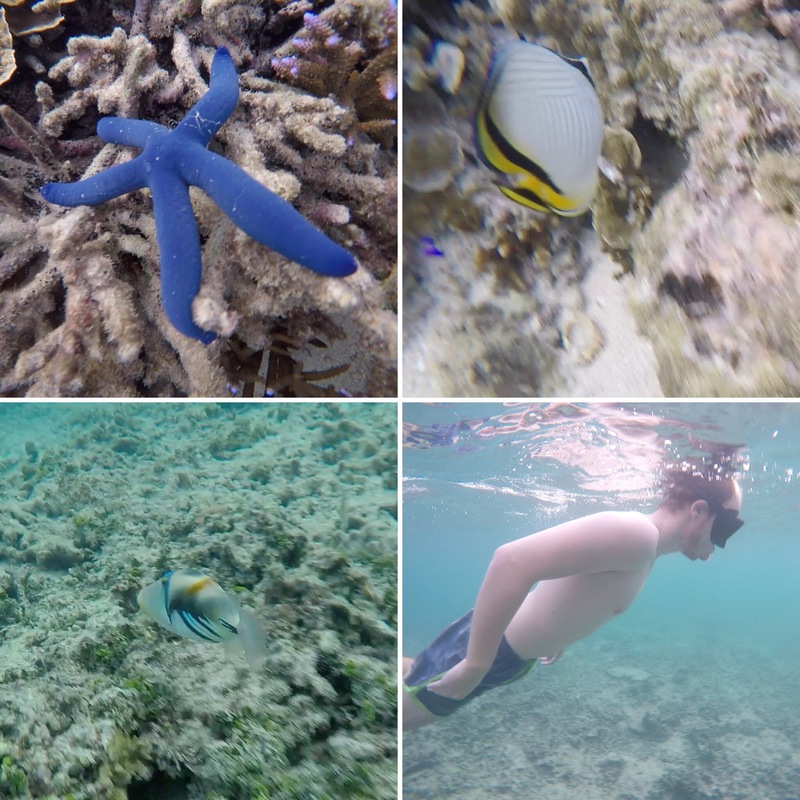 Pretty much the whole resort was out there with us – around 15-20 people – and we were taken to one end of the channel to then drift up with the food and see the manta rays. It didn’t take long before two beautiful big manta rays came gliding towards us. They’re so huge and you don’t want to get in their way so we swam to the side and followed them as they swam past. 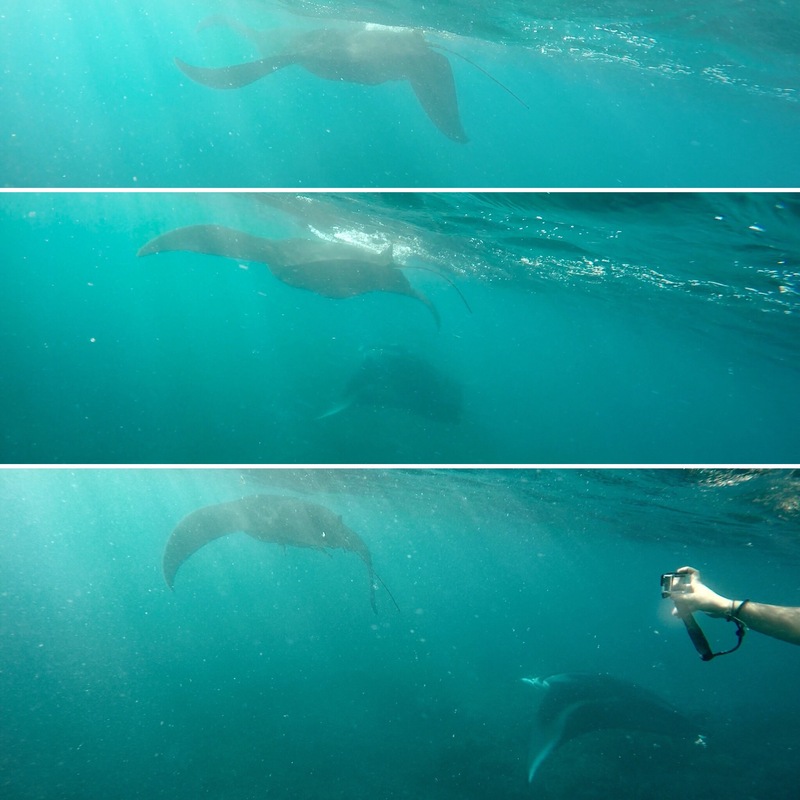 What was extra good about the experience is that one of the rays was a black manta ray and they can only been seen in Fiji so we were extra excited to see that one! They glide with such grace and so silently that the don’t even leave any bubbles as they pass. We were all so excited and in awe of them and couldn’t wait to see them again. We were back on the boat and taken further up the channel to catch up with the manta rays and I’m so glad we did! 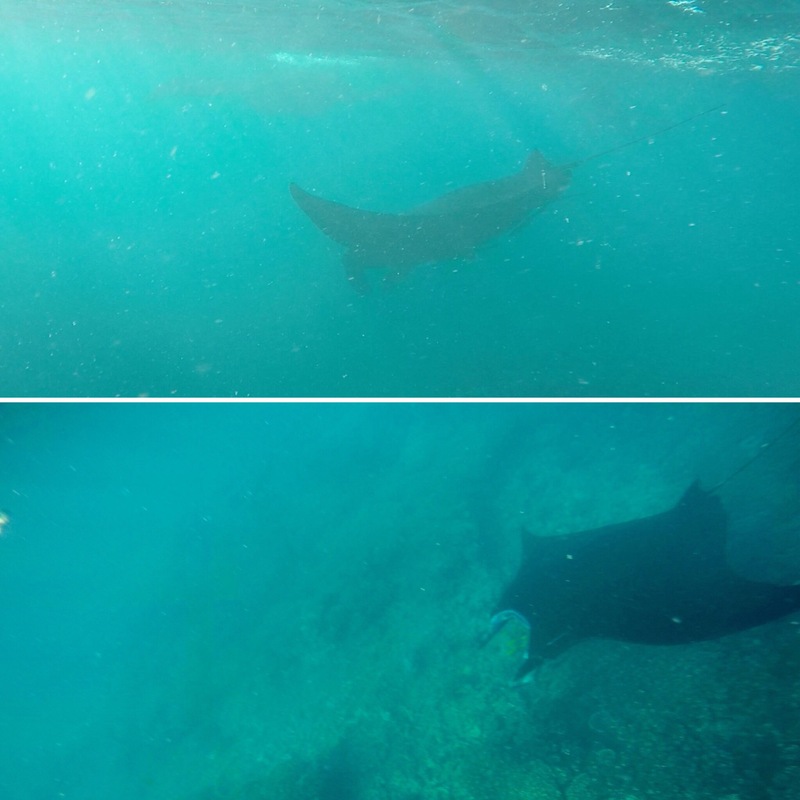 The manta rays started doing flips in the water; one would do it and then the other would copy, again and again. It was so incredible to see and was as if they were dancing just for us! We stayed in the water a bit longer and tried to find them again but they went too deep and disappeared as the tide went out. We were all ecstatic and went back to the island for breakfast elated – particularly as all of us had thought we may not get to see any at all. The weather matched our mood that day and the island was beautiful, clear and sunny. After breakfast we sunbathed on sunset beach and enjoyed the extra beauty the sunshine gives the place – it all becomes extra bright and clear! After lunch and a break from the sun we decided to go snorkelling. 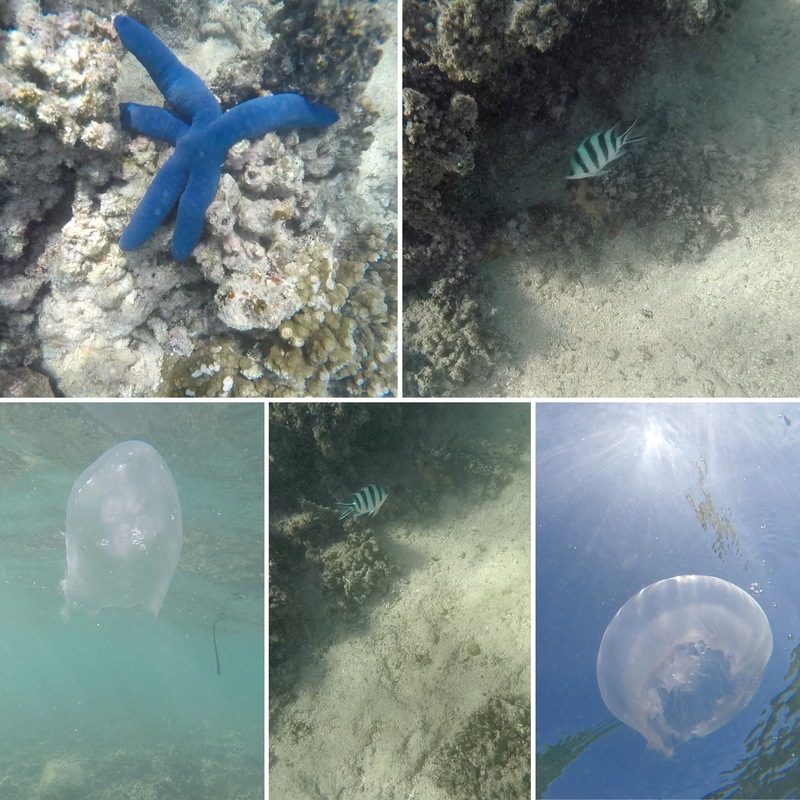 The sea was a bit rough so we ended up not being able to be out for long but we saw loads of little jellyfish that were being swept in my the current (they weren’t dangerous ones) and another bright blue star fish. Niall also saw an octopus which is really cool but I wasn’t able to see it. We spent our evening watching the sun set although it had gotten quite cloudy and much windier (all good signs for more manta rays!) and had our tea on the sunset terrace over looking the sea which was lovely.